The price you found is 10% lower than this hotel's average rate of $103/night. We were a group of 7. Had a wonderful and comfortable stay at Acorn. What a cozy little gem of a place. Also location is ideal. Food was outstanding, and the rooms were beautiful and tastefully done. Staff extremely friendly, and when I had to print out boarding pass in their office it wasn't a problem at all. My only comment of caution would be (and this has nothing to do with the quality of the B&B), organise your own transport from the airport to B&B. There are many cheap options, "Uber" being my best recommendation as it's so cheap in and around Cape Town. We felt very ripped off by the minibus (Zane) that was recommended to us for our airport transfer. Acorn House was five star service. They really set the bar. We loved staying there. The Asst. Manager was particularly accommodating and friendly. We will recommend it to anyone who travels there. He went out of his way to greet us every time we returned, always put together a tea tray when we needed and was always up for a conversation in the sitting room in the evenings. Several mornings we had very early starts and they even put together to go breakfasts for us. Their breakfast service was incredible as well - hot options every morning that were to die for. We could not have asked for a better place to stay in Cape Town. Room tip: We loved the Park room - it faces the street and has a balcony. 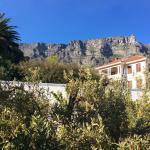 We stayed here in March, our first visit to Cape Town and it was stunning. A friendly welcoming place. 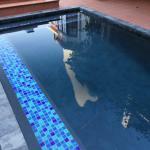 We were met with ice cold water and cool flannels with a seat around the plunge pool. Nothing was too much trouble and help was on hand to ensure our visit was fantastic. A beautiful spot with such friendly people. We would definitely return. Ist stop off the airplane from London. Wonderful, warm welcome. Very lovely house, everything you need and so, so friendly and helpful. Denise and Stan ("The Man") are always on hand to make sure your stay is perfect. Ideal location for seeing Cape Town as you are 15 minutes walk from the centre and yet located in a quiet and safe suburb. Room tip: They all looked good to me. The time that I had at acorn house was very special. There is so much things to do that a person will never get bored. The view is fantastic and the food, service and atmosphere is the best that I have seen. This is mother nature at her best. The staff is very friendly and will always help where they can. Thank you to Denise and everyone for your hospitality. I will always come back. I give this guest house two thumbs up.